Protesters in Oregon demonstrate against gun control measures after the shooting in Roseburg killed nine people. Two states are proposing bills to expand access to guns on campuses and elsewhere, less than two weeks after a campus mass shooting in Roseburg, Oregon, killed nine people. On Monday, two Republican legislators in Wisconsin, Jesse Kremer and Devin LeMahieu, introduced a bill that would allow concealed weapons inside university buildings such as classrooms. Kremer told the Journal-Sentinel that the plan is not in response to the mass shooting at an Oregon community college on 1 October but a reaction to rising crime near the University of Wisconsin-Milwaukee campus. “Crime is on the rise around the campus, and there is nothing stopping [criminals] because these students walking to campus are disarmed. This will allow students the right to protect themselves,” he said. “It’s hard to think of a policy that would make me feel less safe at work,” Don Moynihan, a professor of public affairs in Madison, wrote on Twitter. In 2011, Republican governor Scott Walker signed into law a concealed-carry bill that allows license holders to carry hidden weapons on college campuses. But it included a clause allowing some public institutions to prohibit weapons inside buildings. The University of Wisconsin system, which comprises some 26 campuses and 180,000 students, has used the clause to forbid weapons in buildings, but the new bill would end that exception. Walker hinted he might support the bill on Tuesday but said he would wait to see its precise language before deciding whether to back it. In Michigan, a Senate panel on Tuesday passed a bill that would allow concealed-carry license holders to bring guns into zones currently designated as “no carry zones”, as well as schools and college classrooms. The bill, approved along party lines in a 4-1 Republican majority vote, would also prohibit those individuals with a license from carrying guns inside schools and other no-carry zones, such as sports arenas, hospitals and bars. Republican governor Rick Snyder vetoed a similar piece of legislation, in 2012, citing the lack of a provision to allow local school districts to opt out. John Lott Jr, a Virginia economist and Fox News commentator, spoke in support of the legislation for upwards of 20 minutes, saying concealed permit holders hold a “strategic advantage” in mass shooting incidents that open carry advocates and uniformed law enforcement officials lack. Potential mass shooters could pick “another venue where they don’t have to worry about somebody in uniform being stationed there”, Lott told the panel. Lott also opposed creating outright gun-free zones. 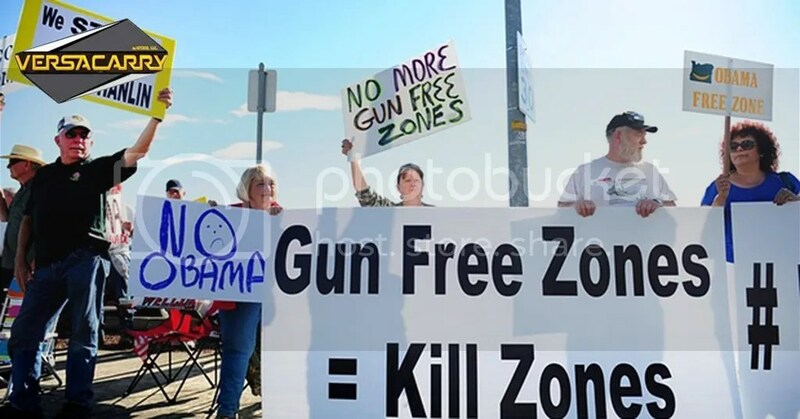 “If you go to create a gun-free zone, the people who obey these rules are the law-abiding citizens, not the criminals,” he said. The proposed legislation advanced to the full Senate over the protest of many college and school officials. Tim Hall, a CPL holder and gun owner who works as the superintendent of the Sault Ste Marie Area public schools in the state’s upper peninsula, said only trained police officers should be allowed to carry guns inside a school. Clio superintendent Fletcher Spears, however, said he believed concealed carry permits would “limit the distraction” presented by gun owners who open carry. Michigan State University also vocally opposed the bill. “We’re opposed to any legislation allowing concealed carriers in what are currently pistol-free zones,” university spokesman Jason Cody told the Lansing State Journal. The University of Texas is currently mulling how to implement Texas’s new campus carry law, which goes into effect in August 2016 and will allow concealed weapon licence holders aged over 21 to bring handguns into buildings on public campuses. Private universities can opt out. More than 600 University of Texas academics have signed a petition opposing guns in their classrooms. About 50 professors signed a statement on Sunday arguing “there is no empirical evidence whatsoever that the presence of concealed guns on campus will promote student safety, and ample reason to believe that it will lead to harm”. An economics professor who has taught at the university since 1993 said this month that he will quit as a result of the new law, which has also sparked plans for a creative, if X-rated, protest.